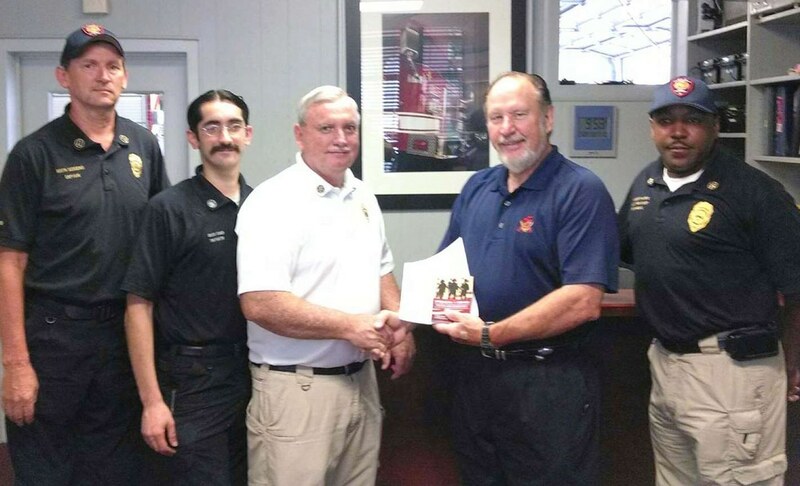 NATCHITOCHES, La.––After sending many copies of the Strength for Service book to the military, men of First UMC presented Strength for Service to God and Community books to the Natchitoches Parish Sheriff’s Office, the City of Natchitoches Fire Department and the City of Natchitoches Police Department. Each department received 50 copies of the books in appreciation for their service to the community and parish. Members of the Natchitoches Fire Department receiving Strength for Service books are (from left): Keith Scoggins, David Fisher, Chief Crit Miller, UMM President Johnny Broussard and Robert Harris.